Love Me Do Branding | Take a peek at our flash drives! 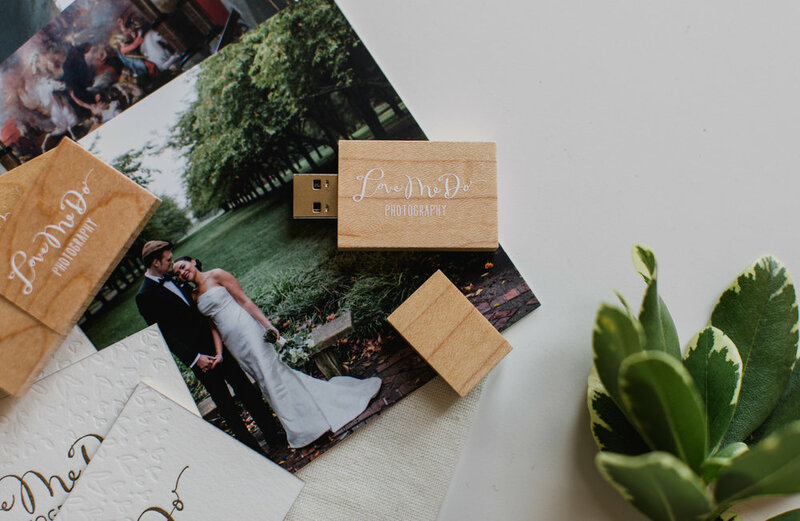 We’ve gotten a lot of great responses to our branding and USB drives for our wedding photography, so I wanted to take the time and show off our cute swag! Our logo was designed by good friends and (new!) studiomates: Loveleigh Invitations. Our canvas bags are screen printed by HYMY Industries. Our wooden USB drives are made to order by USB Memory Direct. We love that all of our items come together so perfectly and represent our brand in the best ways. Thanks to all of our talented friends and vendors who make this possible!